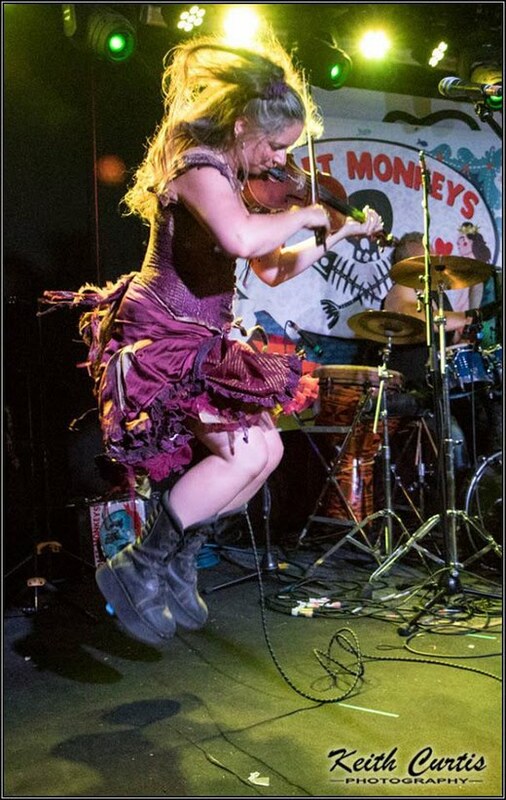 The 3 Daft Monkeys have toured across the UK and Europe with the Levellers, and opened for bands such as Hawkwind, Bellowhead, Show of Hands and Dreadzone. A brilliant Cornish band comes to Clayhidon on Friday 3 November. With Celtic and eastern influences, the 3 Daft Monkeys’ dynamic style of world folk music reflects the global village in which we now live. Their infectious dancing rhythms lead you through a musical journey of the senses and emotions, and will leave you breathless, enthralled and exhilarated. Their music is hard to pigeon-hole, mixing musical genres from Celtic, Klezmer, Gypsy, Balkan, Latin, Ska, Dub Reggae, Indie, Rock and even a hint of Shostakovich. 3 Daft Monkeys have gained a huge following while ploughing their own furrow through the music business, gaining momentum through their live performances and intensive European touring schedule. After experiencing the band’s notoriously energetic live performance at Glastonbury Festival last summer, Mark Radcliffe declared them to be one of his “Highlights of the Festival” on BBC TV coverage, and invited them to play a session on his BBC Radio 2 Folk Show. There are four of them, by the way, making music with a virtuoso vibrant fiddle, a rhythmic 12-string guitar, a six-string bass, bespoke hand-percussion and four-part vocal harmonies. Fascinating lyrics of personal and whimsical observations on life, and folk tales both ancient and modern, are told within the swirling layers of their music, all with the essential catchy sing-along chorus. Their eclectic mix of styles has drawn them a following right across Europe, and the band have headlined festivals in Holland, Germany and France. 3 Daft Monkeys have also recently joined acrobats and circus performers in the new and vibrant boutique “busking festival” scenes of Switzerland and Italy.